Element Studios’ Call of Combat Real-Time Tactics War Game. Element Studios is working on a new version of this game; unfortunately it appears they have taken down the existing version in the meantime. Description: A clone of the very popular (now defunct) Chain of Command by 2AM games. Game is multiplayer only. 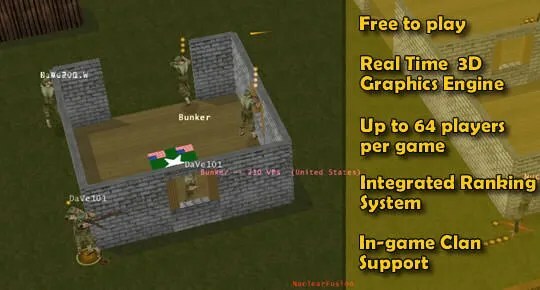 You command a squad of four soldiers during World War II. You view them from a top-down view. There are from one to several other teammates on each team each with four men. There is a variety of equipment you can be given. You then duke it out on the field. Notes: The game has been taken down for the time being, but the site still exists. Apparently the team is working on version 2.0. Next story Luis Guzman’s Open General Strategic and Tactical Turn-Based War Game. Previous story Historical Software Corporation’s Battle Command.